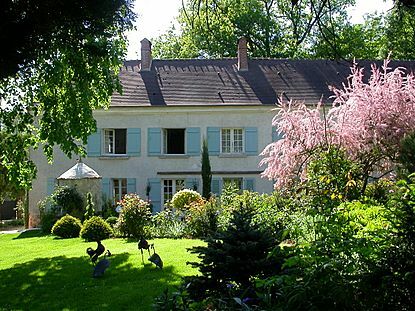 Small villages and charming places to stay: there are plenty in France! 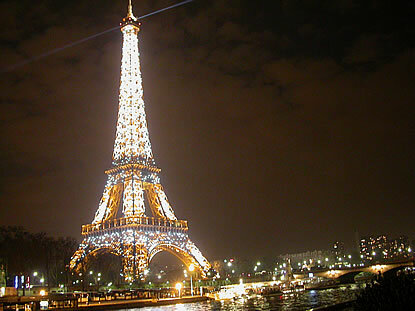 France is one of the major destination in the world for travellers. France is welcoming every year more than 70 millions of visitors. The following pages will offer you a number of places to visit. Some of them are well known, some others are hideaways and less famous but always worthwile. The regions of France will unveil some of their secrets for you. You will discover original places to visit and special places to stay, charming hotels and romantic bed and breakfast. Browse the attached pages and navigate through what is to do and to see. You will even discover in the near future some hints and tips for finding a house or an apartment to buy in some regions of France. The following pages will grow step by step. Should you wish to suggest a new site / item, please do not hesitate to contact us. Canauxrama - river cruises in Paris. Seine Ourcq. Canauxrama welcomes you on board. Traveling along the river, you will discover in a few hours or one day, the entire charms of Paris. Do not hesitate to navigate the Seine, the Marne or even St-Martin’s Canal and appreciate the beauty and richness of Paris architecture. Gare du Nord is the train station and terminal for Eurostar trains on the line London - Paris and Brussels - Paris. The Place de la Concorde is the biggest square in Paris. Planning a visit to Paris and want to know when was the Eiffel Tower built? The Eiffel tower in Paris was inaugurated on 31 March 1889. It was the keystone of the Universal Exposition celebrating the hundredth anniversary of the French Revolution. The Grand Rex, the biggest cinema in Europe with a seating capacity of 2,750, has projected films for more than one million spectators for over half a century. This is why it created "The Stars of the Grand Rex" an unusual tour behind the scenes of the cinema. The Grand Rex has an Art Deco facade, a starry vault and a Baroque decor which makes it a unique and exceptional cinema. The Grevin Museum is a temple devoted to the glory of history and all that is strange, spectacular and sensational, in a setting dominated by gold and marble. It moved into one of the famous Grand Boulevards of Paris over a hundred years ago, and ever since it has immortalized leading personalities of the world and key scenes from history. This outing is unusual, picturesque, amusing and full of surprises. Paris-Story is a show and exhibition which brings back to life the history of Paris and its monuments. It is an audiovisual stroll through the centuries to rediscover Paris in an entertaining and easy way.In 1993, Paris Story won the Grand Prix for Innovation in Cultural Tourism, which is awarded every year for an outstanding achievement, among the 150 projects submitted from all over France. 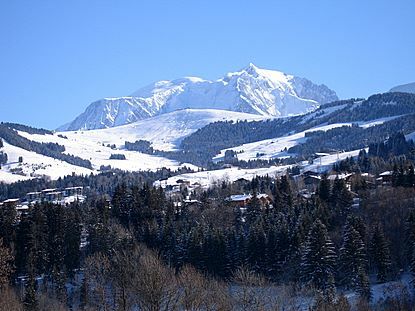 The lovely village of La Vancelle is the perfect place to stay for your headquarters in Alsace. A strategic location right in the middle of Alsace (exactly on the limit between the 2 Alsatian counties (Bas-Rhin and Haut-Rhin) less than 10 minutes away from the famous Alsace wine route and the winegrowers villages, 20 minutes away from Colmar and 35 minutes from Strasbourg! 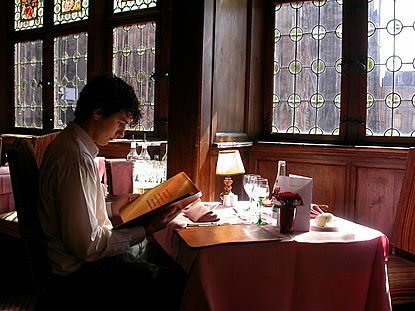 The Alsace Wine Route is one of the most spectacular wine route in France. The Alsace Wine Route is famous all over the world for the exceptional natural beauty of its scenery (mountains, vineyards and old traditional colourful villages) and the high quality of the Alsace wines. Riquewihr is the jewel in the Alsatian crown - famous for the Riesling and other great wines produced here - and looks today exactly as it did in the 16th Century. Brittany is close to the United Kingdom. Apart from the seashore, still some bargains available. With more than 100000 visitors welcomed each year, the Telecommunications museum of Pleumeur-Bodou is classed as one of the best sites of the Cotes d'Armor which cannot be overlooked. Opened in 1991, it is the only national telecommunications museum entirely realized and implemented by France Telecom. A strange place where past, present and future are brought together with a bonus a fascinating show just at the foot the giant white radar dome. The Champagne vineyards start 70 kilometers east of Paris in Saacy sur Marne, along the river Marne. The area is a perfect start and base to visit and tour this Marne valley Champagne wine route. Moving on the French Riviera is a dream for many. Buying or renting a house or an apartment on the French Riviera, from St-Tropez to Menton through Cannes, Nice and Villefranche-sur-Mer. What about real estate, housing prices and options? Villefranche-sur-Mer is located on the French Riviera in an idyllic setting, between Nice and Monaco, bordering the Mediterranean Sea. It is a resort and residence, which is among the most popular on the French Riviera. Provins, an impressive medieval city in Champagne. Provins, protected within its massive defence walls is a World Heritage site. France Miniature visitors will feel like Gulliver in the land of Lilliput. In just one glance, they will discover the finest jewels of the architectural and historical heritage of France. The France Miniature Park is in the shape of a relief map of France, spread over an area of 5 hectares. It is animated by planes, trains, ships and cars. Certain monuments are illustrated by a sound track and music. In short, it is an entire country on a reduced scale, making it a lively lesson in geography. Limousin, in the heart of France, is a region where you will still find interesting houses at an excellent value for money. Mont St Michel in Normandy is certainly one of the most important sites to visit in France. The story of the Mont St Michel is made of powerful symbols: the spectacular nature of its architecture overlooking an impressive bay and dangerous seas are the alchemy of a true fascination. Honfleur, famous small town in Normandy is absolutely charming. You will fall in love with Honfleur and its lovely sea port. The old streets, museums, historical and religious monuments and of course many restaurants are awaiting you in Honfleur! The vineyards of Sancerre dominate the Loire Valley in front of Cosne sur Loire. Very localized, Sancerre covers only a few villages among which Sancerre and Chavignol and are best known. The Sancerre region produces an excellent white wine but also an amazing red wine to be discovered. The Sarreguemines Faience Trail invites the visitor to learn all about one of the most highly appreciated faience productions in the world. The sites can be reached by all types of vehicles but walking (about 3 km) is still the best way to explore it... From the Moulin de la Blies, the very new Museum of Faience Techniques, a path runs along the banks of the Blies and the Sarre. This walk retraces two centuries of savoir-faire and talent... Special guided tours fitting to the school curriculum are proposed for students and pupils. The Brassery of Cerdon (Cuivrerie de Cerdon), situated in the French department of Ain, is made up of a hereditary craft and is an industry unique in France ; unique by its ancestral character, the methods and techniques used and by the history of the profession.